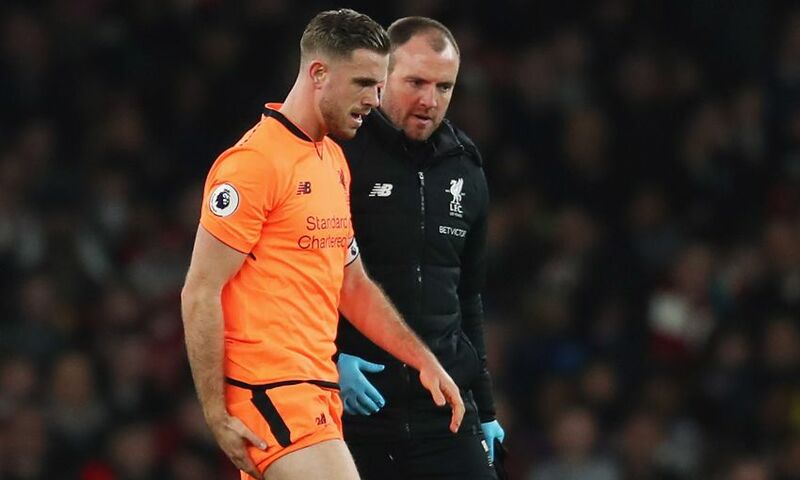 Jordan Henderson has been ruled out of Liverpool's Boxing Day clash with Swansea City. The Reds captain limped off just 10 minutes into the game against Arsenal on Friday night, replaced by James Milner in a match that ended in a 3-3 draw at Emirates Stadium. And Jürgen Klopp confirmed that Henderson’s injury will sideline him for the visit of the Swans to Anfield at a minimum. “The problem is that Hendo will not feature for sure, he is out,” the manager said. “That makes it even worse, the feeling of [the result at Arsenal], because so far we were really OK with this kind of injury and now it happened in the middle of the [busy] period, or whatever.